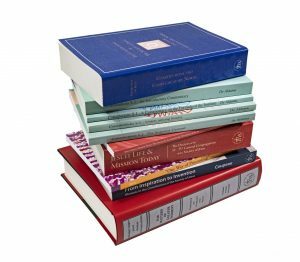 Jesuit Sources announces a discounted bundle of 10 books on the governance of the Society of Jesus. The collection includes every decree from every General Congregation of the Society of Jesus, a copy of the Constitutions, and scholarly commentary and analysis on Jesuit governance. Supplies are limited. The 10 books are offered for only $50, plus shipping–a savings for nearly 80%. More information and ordering details are available at http://jesuitsources.bc.edu/governance-of-the-society-of-jesus-10-book-bundle/.